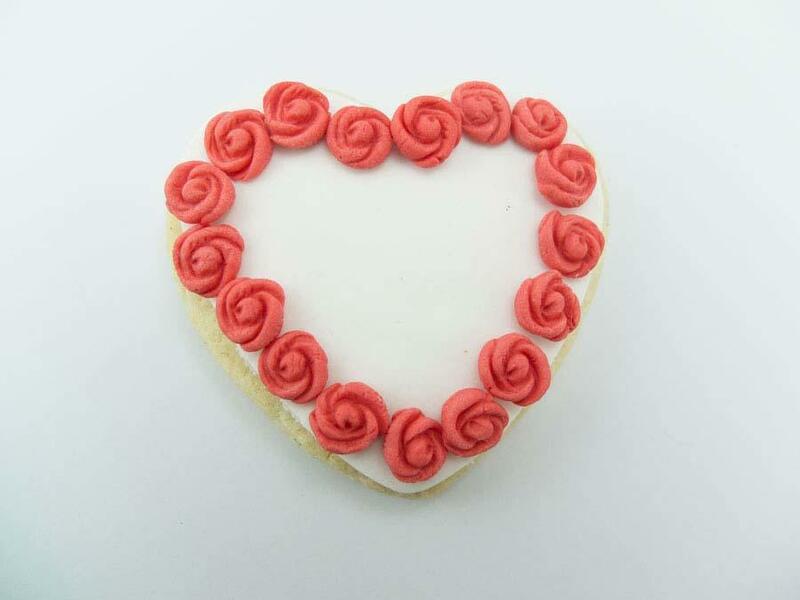 Give that special person a homemade cookie, decorated with little roses to show you care. 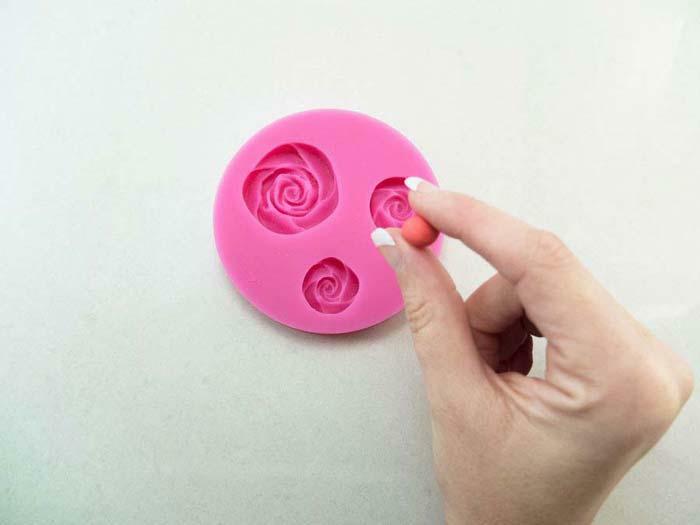 We have used the English Rose mould to create mini flowers. 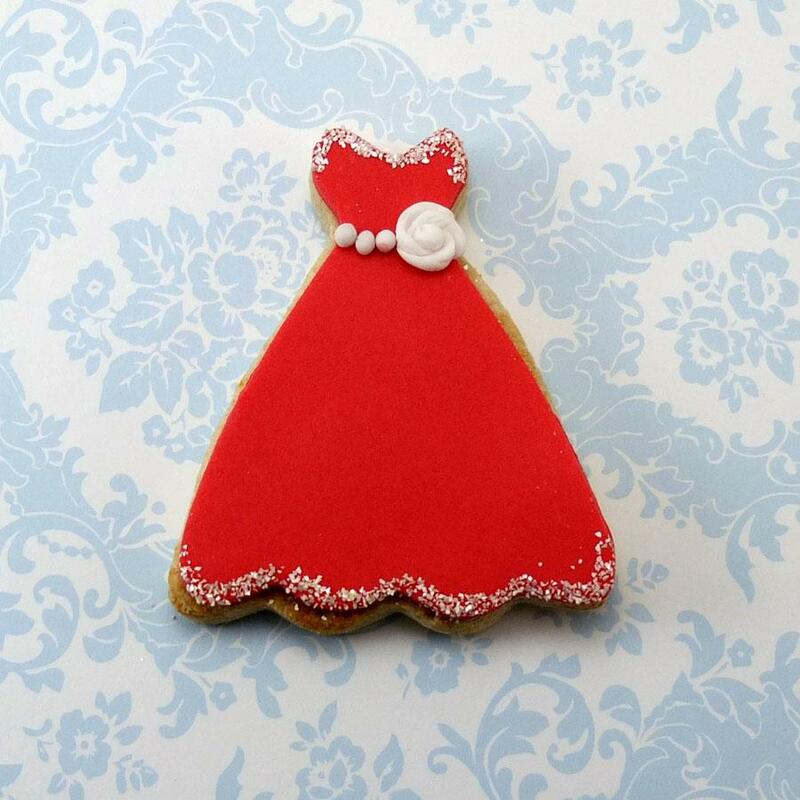 They are very sweet and very easy to make. 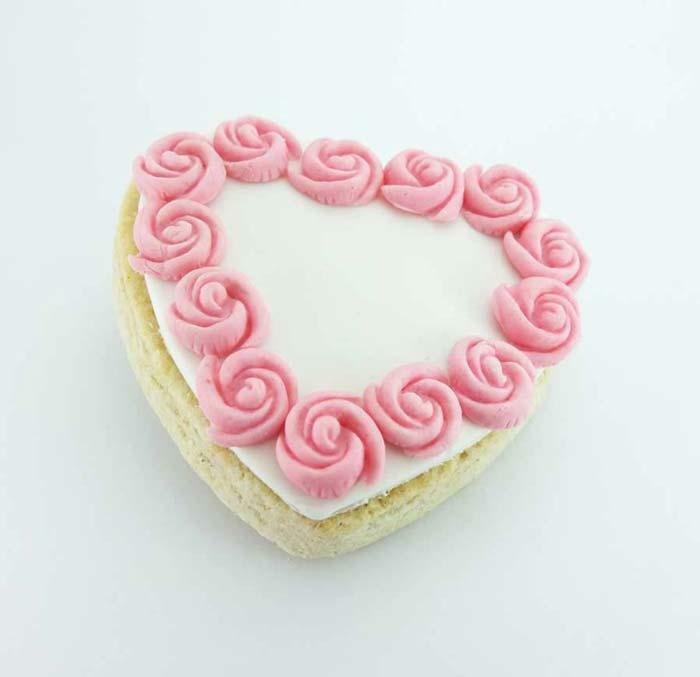 We have used fondant / sugarpaste with CMC mixed in but you could use a modelling paste or gumpaste to make the flowers. 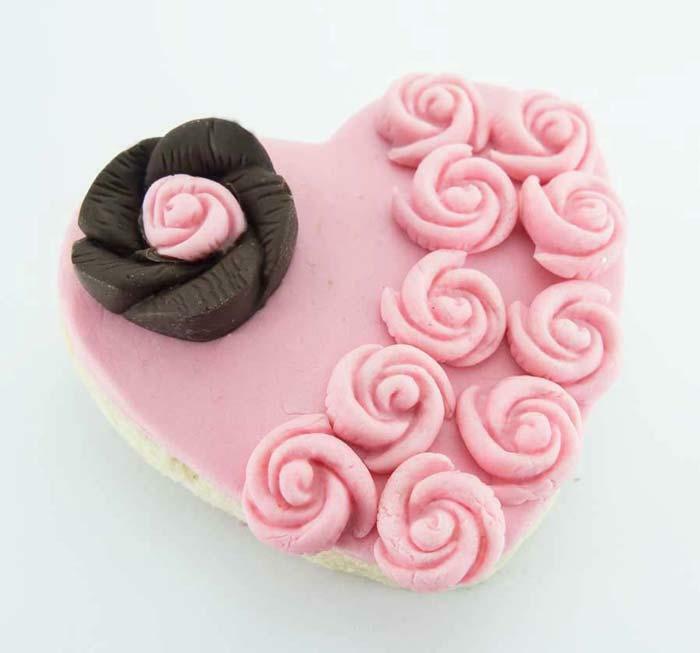 You will only need a small ball of icing to place into the cavity to make the mini rose. These mini roses also are great on cupcakes or wedding cakes as filler flowers.